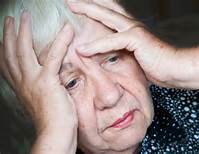 "A new study, published in the Journal of the American Geriatric Society, finds that older adults continue to be prescribed benzodiazepines without being offered psychotherapy. This practice persists despite decades of research warning of safety concerns with these drugs and demonstrating the effectiveness of alternative treatments." I have a few "geriatric" clients in my practice. When they get off the benzos which is difficult because of the withdrawal which exaggerates the symptoms, such as anxiety, for which they were prescribed to begin with, they usually report that they feel better. I usually suggest they only take them if absolutely needed, and don't take them on a regular basis to avoid the development of physical tolerance. Listening to older people's complaints takes time, time the primary care physician is not reimbursed for in our mercenary system of health care. There are many barriers and obstacles to the PCP referral to mental health professionals, but when done and psychotherapy is engaged in, benefits are worth in the cost in most cases.